The contact page provides a form to send messages to representatives, officers and coordinator. Dividing lines are I-40 and I-35. Tulsa includes: Tulsa, Creek and Rogers counties. 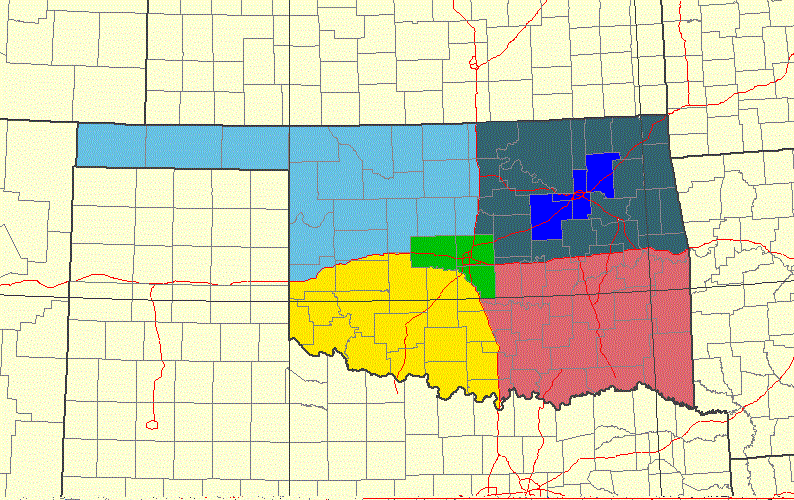 Oklahoma City (OKC) includes: Oklahoma, Canadian and Cleveland counties.